Villa Magda is a fantastic villa located in the centre of the most prominent area of Lisbon region, Cascais. This 3-storey property accommodates 12 persons and showcases ample areas and top notch leisure facilities. 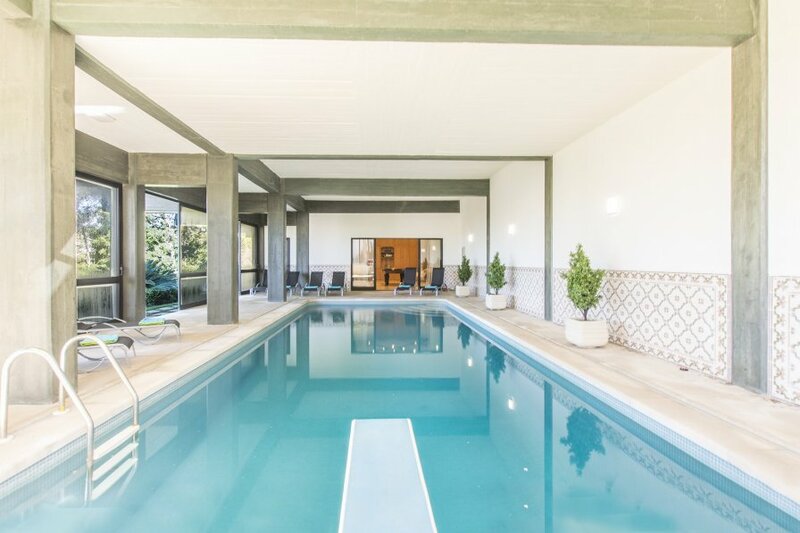 An indoor heated swimming pool and a games room with pool table are set to provide a lot of fun moments, while the massive living and lounge areas deliver the so needed relaxation. A large balcony that stretches across the 1st floor comes with an outdoor dining table, giving guests a smell of fresh air and sea breeze. The whole property is equipped with central heating and air conditioning is available on the 2nd floor. On the exterior a masonry barbecue, a wood stove and private parking up 6 cars are at guests´ disposal. Its superb location makes this holiday home an excellent choice, as the beach and the historical centre can be reached on foot. Nevertheless, there is much to see within a couple minutes’ drive from the property, such as the beautiful and charming Sintra, Europe´s most western point Cabo da Roca or Europe´s largest casino, Casino Estoril. Villa Magda welcomes you to Portugal! Cascais and Sintra (patrimony of UNESCO) offer some of the best seaside bathing conditions and water sports in Portugal, depending on the kind of beach you choose. Higher or lower exposure to the Atlantic Ocean means more or less crowded beaches and different water sports. We recommend the coast along Estoril for sheltered beaches and from Cascais/Guincho to Praia das Maçãs for wilder conditions. Inside Quinta da Marinha resort you have access to an 18-hole championship golf course (by Robert Trent Jones) and just beside you have the Oitavos golf course (by Arthur Hills), an 18-hole course included in the top 100 courses in the world. In September 2011, Oitavos Dunes jumped 20 places up the list to be considered the 68th best course in the world and the second best in mainland Europe. Inside the resort, you have also 10 tennis courts (two synthetic grass and eight in clay), 3 padel courts, 3 squash/racketball courts, sauna, gym, indoor swimming pool, restaurants and the Marinha Equestrian Centre, considered one of the largest and most well-equipped in the Iberian Peninsula.